The Permanent Court of Arbitration in The Hague, the Netherlands, has officially announced a partial arbitration decision in favor of PrivatBank and against the Russian Federation in a case estimated by the bank at more than $ 1 billion on the expropriation of its assets in Crimea, the bank said on Friday, February 15. "The Court of Arbitration has recognized all claims of PrivatBank against the Russian Federation fall within its jurisdiction. The Russian Federation violated its obligations under a bilateral agreement on the encouragement and mutual protection of investments by illegally expropriating the assets of PrivatBank in Crimea, and that PrivatBank has the right to compensation for such expropriation in full volume," the bank said. The bank said that it learnt about this partial arbitration decision of February 4, 2019, on Friday, February 15. "The Court of Arbitration left the question of the amount of compensation payable to PrivatBank for the Russian Federation’s illegal actions for the next stage of the arbitration proceedings. 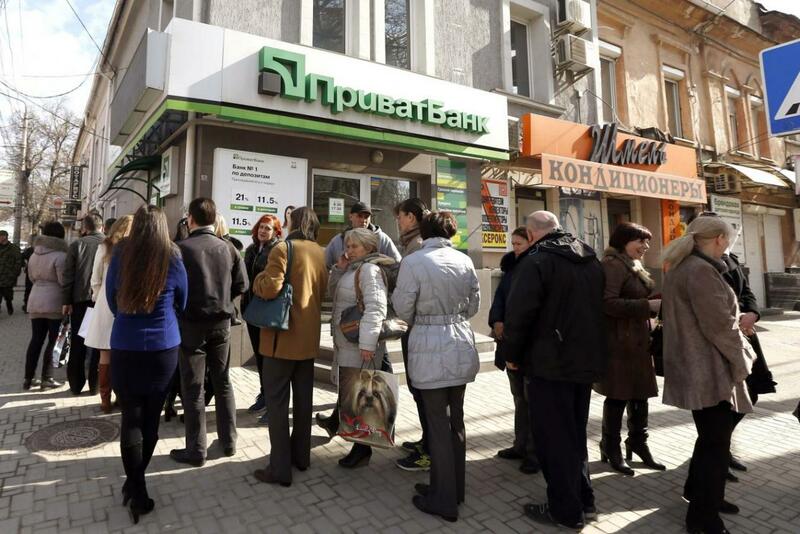 PrivatBank plans to recover more than $1 billion," the bank said. According to a press release of the Permanent Court of Arbitration on February 15, on February 4, 2019, the tribunal issued its unanimous partial award addressing the respondent’s liability in respect of the claimants’ claims under the Ukraine-Russia Bilateral Investment Treaties (BIT), as well as all outstanding issues of jurisdiction and admissibility. The award was issued in relation to two cases : PrivatBank vs. Russia and Ihor Kolomoisky, the former shareholder in PrivatBank, Airport Belbek LLC vs. Russia. The tribunal recalled that after the hearing on the merits was held in this matter from November 1 to November 3, 2017, the tribunal invited both Parties to file post-hearing submissions. The Claimants filed their post-hearing submissions on January 26, 2018. The Russian Federation did not file any post-hearing submissions. On July 5, 2018, the tribunal requested an additional document from the Parties, which the claimants provided on July 12, 2018. In the Kolomoisky and Belbek airport case, after the hearing on the merits was held in this matter from November 4 to November 7, 2017, the tribunal requested the claimants’ expert on quantum to update his valuation report and invited both parties to file post-hearing submissions. The claimants filed an updated valuation report by their quantum expert on December 6, 2017 and their post-hearing submissions on 13 January 2018. The Russian Federation did not file any post-hearing submissions. On July 5, 2018, the tribunal requested certain additional documents from the parties, which the claimants provided on 12 July 2018. By letter to the parties dated February, 4 2019, the tribunal recalled that, in July 2017, it had reserved its decision regarding whether, following the hearing of November 2017 and in the event that liability was established, its award would include consideration of issues of quantum or postpone these to a further phase of the proceedings. The tribunal indicated that, having now studied the record and deliberated, it had arrived at the conclusion that it will require additional information from the parties in order to decide the issues of quantum and that, accordingly, it had decided to render a partial award on the issues of liability, and the outstanding issues of jurisdiction and admissibility, and to postpone issues of quantum to a further phase of the proceedings in which it will ask the parties for additional information. The tribunal recalled that the above-referenced arbitration was commenced by the claimants against the Russian Federation pursuant to the Ukraine-Russia BIT and in accordance with the UNCITRAL Arbitration Rules 1976 on January 13, 2015. The claimants contend that the Russian Federation breached its obligations under the Ukraine-Russia BIT by taking measures that deprived the claimants of their property, contractual and other rights to operate a passenger terminal for commercial flights at the Belbek Airport in Crimea. The arbitrators in the case are Prof. Pierre Marie-Dupuy (presiding arbitrator), Sir Daniel Bethlehem KCMG QC and Dr. Václav Mikulka.